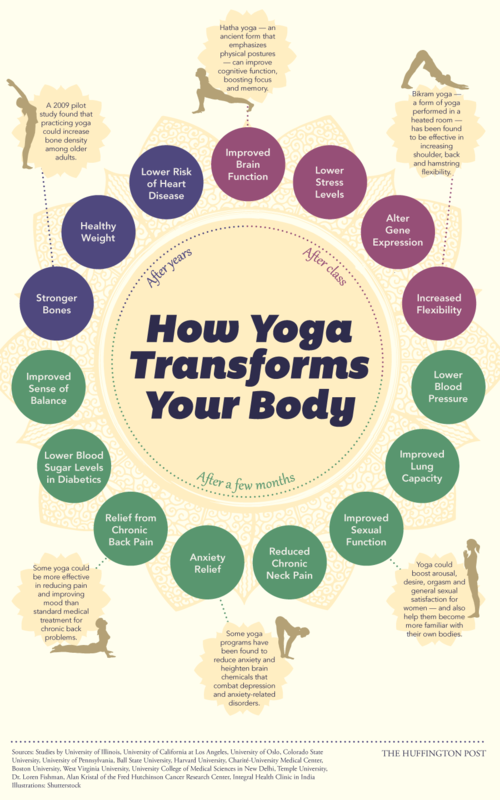 Yoga Can Change You...For The Better! Still contemplating joining Sole City’s 6 week yoga series for beginners? Well, maybe this can persuade you to sign up! Here’s what we know so far about its potential effects on the body. Join SCD for a 6 week beginner series starting on Sunday, October 19th 2014. This class will offer beginners a safe and supportive environment to learn basic postures, breathing exercises, and relaxation techniques that calm the mind and open the body. Students will link gentle movement and stretching with breath to gradually build strength and flexibility while focusing on proper alignment. Both sitting and standing postures will be incorporated into each class. Students should wear comfortable clothing and bring a yoga mat and water to class. *Yoga mats available on a first come first serve basis. As a non-profit 501(c)(3) entity we are dependent on community support to continue our mission of providing exceptional dance education. Please consider supporting us with a donation. To register & pay online click the REGISTER ONLINE button.